This is the one of the few locations in Brazil where the sun sets into the sea. Like São Tomé and Principe Archipelago,( Our Last DX'pedition) this islands are also the remains of volcanic mountains jutting up from the Atlantic Ocean. The archipelago is called Fernando de Noronha , the islands .like There are twenty small islands, one larger one, and scores of beautiful beaches where clean sand, pure water and fabulous marine life abound. Claimed by Américo Vespúcio for the Portuguese in 1503, early settlers built a fortress, now in ruins, at Vila dos Remedios, the largest populated town. (See map.) The islands were a prison, then a convenient stopover point for early flights to Europe, and the facilities used by one European airline gave the name Air France to a local community. There was also a WW II air base. Today, the Brazilian Air Force maintains a base there. Although the islands support a large variety of wildlife species, they are relatively unpopulated and tourism is restricted to 420 visitors at a time. In fact, the longer you stay, the higher your permit fee will go. There is one paved road, Brazil's shortest national highway, one hotel and many pousadas which fill to capacity in the summer season. 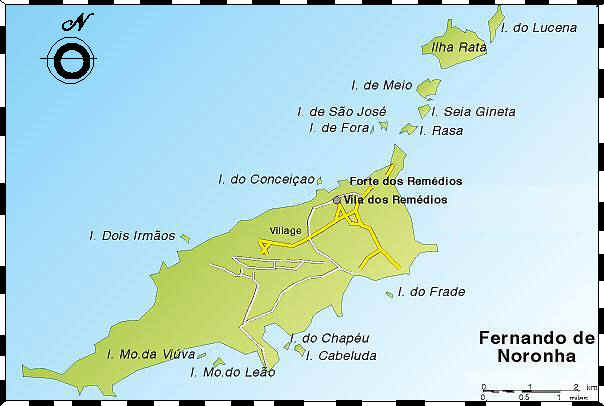 While Fernando de Noronha is now a model environmental protection area, it is also one of Brazil's almost hidden treasure. The clarity and warmth of the water, on the equatorial stream, and the abundant underwater life makes these islands a mecca for divers and snorkelers. There are over two hundred species of fish, plus dolphins, sea turtles, and sharks to view and photograph. 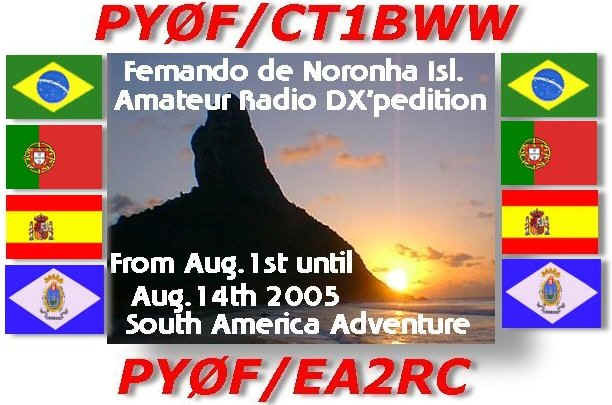 Fernando de Noronha is situated at 3 degree 51' South and 32 degree 25'West in the South Atlantic Ocean, Natal Coast of Brazil IOTA: SA-003, CQ ZONE:11 Time difference: UTC +/- 4 hours. At the support services we provide to all radio operators We've provided a number of resources here to help you on , report bugs, and suggest improvements to our objective encourage new generation operators and promote amateur radio. This page contains a list of scheduled project events, and key milestones and deliverables. First contacts with some friends on Fernando de Noronha Island including accommodation places, Air Flight Company and all check for facilities to be including on this idea (CT1BWW). Check some values for Flight tickets , accommodations, license, equipments, etc. Preparing budget details. First Contacts with ANATEL Agencia Naccional de Telecomunicações in Brasília. First Contacts with ANATEL and LABRE . First Contacts with LABRE . Change mail with LABRE Headquarters. Web-PageProject's Project demonstration to other friends. Preparing the list for all equipments and looking which will be necessary . First contacts via E-mail we got some sponsoring from WIMO, SPIDERBEAM, QSLCARD Org., CWHAMRADIO. We got permission for antennas and Amateur Radio operation from de Manager of the place on the island. Continuing procedures with other Sponsors like URE, GITEI, FORCE12, and possible others We get Confirmation for flight tickets with Air Company on Schedule to the Island. We've booking confirmation for the place on the island. Continuing procedures with other Sponsors like GPDX,DUNESTAR, REP GUSTAV KELEMEN, and many manufacters and DX Groups and Associations, others. Q1 -- What it's better for you? Making radio? Travel to exotic places? Help others? Q2 -- What do you think about Amateur Radio, Internet and the Future? Nowadays on " Information ERA" it's simple to get some information about an specified DXpedition or any rare station particularly. Just a simple "click" on a Internet Packet Cluster and you find out where is the station you are looking for. About few years ago some "entities" countries we're very rare and today they have a lot of stations active. But, DX is still a very exciting area on our Hobby! Q3 -- Do you think it's important DX Awards? We think Awards it's very important, because if you are working for any Award like DXCC, WAZ or IOTA,EADX100, or other programme you are envolved on challenge. We must have an objective . Q4 -- QSL CARDS? 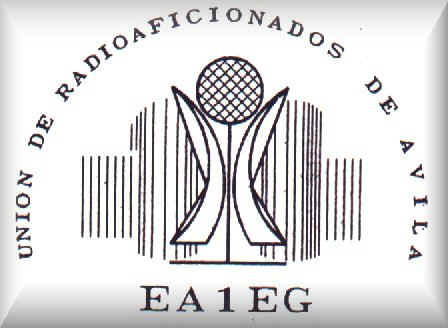 What your idea about E-QSL? QSL cards are still important to maintain our hobby alive. If we decide to accept E-QSL, one of the most interesting thinks on our Hobby it's broken, i mean the QSL Card Collection. Collecting Cards like stamps by themes (Islands, Lighthouses, Castles, Special event, Persons, Equipments, Antennas, Animals, etc etc) it's also one of the best things we've on our hobby. Postcard cards or QSL with panoramic view with signature of the QSL Manager it's unique to set a high value a personal relationship. You can also show the card to everyone. There are lot of attractive and Beautiful QSL cards. Q5 -- How you classified a Great DX'er ? I know a fellow using simple Wire Dipoles and a barefoot station, as more DXCC Countries than others with Big antennas and Amplifiers. What's the secret? He is a Super SWL operator . This is a GREAT DX'er. Of course he is now finishing his possibilities because the Countries missed are very difficult to work with his working conditions. But, We want to send the message that there are no different from Operators. Projected ship date: February 14th. Last updated: Maio 03, 2005.WebMaster [ct1bww].